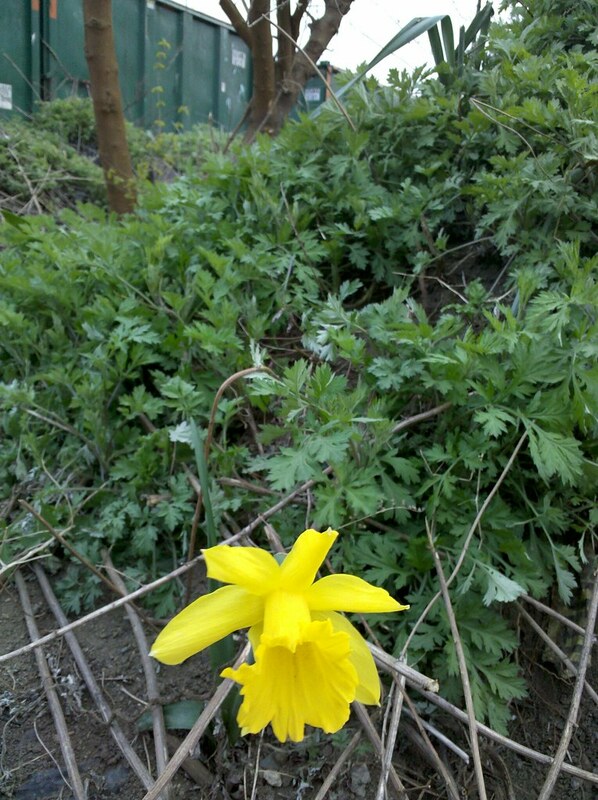 And one lone daffodil in bloom! It goes to show how something beautiful can be found in every landscape!! The green, leafy plant covering that mound is known as “sook” in Korean. We grow loads of it here, and Korean people come from all over to pick it. When we visited our son in New Jersey, my wife noticed how that stuff was growing everywhere around there. It’s Cronewort– Artemesia vulgaris. My favorite weed! put some under your pillow to encourage dreams.